Give your Internet Phone number to other Localphone VoIP users and they can call you for free. Take control of your communication with voicemail, call filtering, call forwarding, and advanced privacy options. 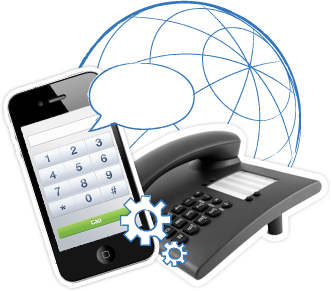 We offer an unlocked VoIP service using SIP authentication. That means you can access our cheap rates from any compatible VoIP device. Alternatively, you can use our Internet Phone application and call from your computer. We have landline numbers from over 50 countries available for you to rent and forward to your Localphone VoIP account. That means people can call you on your VoIP device from regular phones. Plus, we also offer free iNums.